celebrating the release of its new app! Download our free App and get one free raffle ticket, to win this beautiful hand stitch handbag designed and made by Manigault Gentile, get a discount coupon for 55% off the Beginning Course, download our new app for details. Free raffle ticket and discount only available when you download our app. Join the fun today! Scan QR Code to download the app! Learn everything you need to know about handbag design, pattern making and construction. 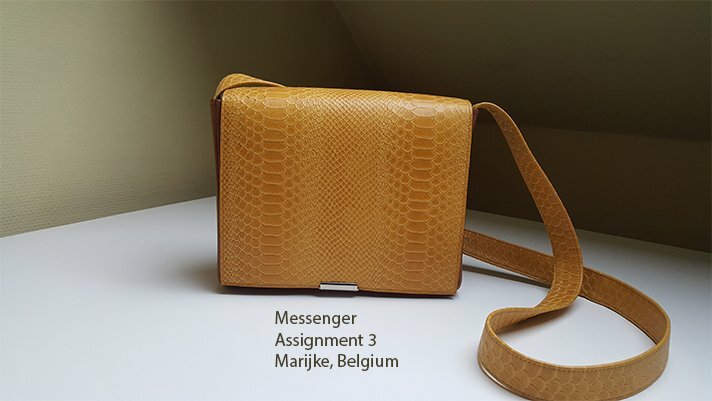 Explore, take a look at a few pictures of handbags designed by our students from around the world. New handbag community, Interact with instructors, students, share your knowledge with people who want to know. Graded assignments, student feedback , Quizzes and activities to enhance your learning experience. We regularly update content and add new lessons. ” Short tutorial” are added as students ask for clarification. With our mobile app, you can take us anywhere, always a phone, iPad or desktop away. Download now! Richard Manigault and Linda Gentile Manigault are two accessory designers from NYC, who attended Fashion Institute Technology. They went on to design for clothing designers and even had the opportunity to show their designs at New York’s famed fashion week where they strutted their stuff. 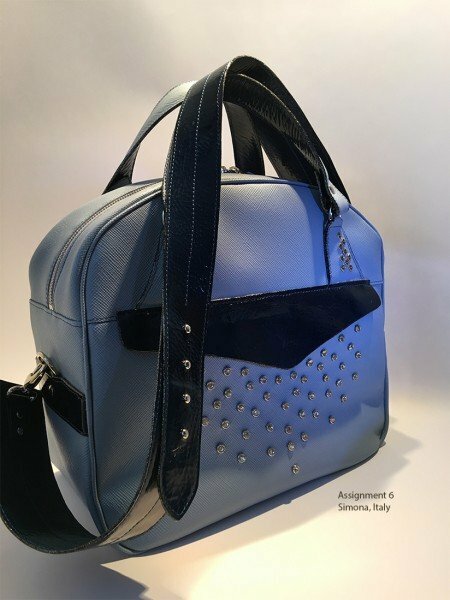 As students, they formed a small accessory company Manigault Gentile Ltd and together they have been designing and teaching handbags for over 20 years. Now as the founders of HMDH Academy they are sharing their knowledge and experience. People come to HMDH Academy from the fashion world or have a clothing background. Some even made handbags but have no formal training. Many come with just the desire to learn how to make handbags and some were like me who have never sewn before. If you fit into any one of these categories, we got you! From sketch to completed bag, at HMDH Academy you learn handbag pattern making and construction. We don’t teach a specific style of bag, what we teach is how to make all bags by using a combination of techniques and combining those techniques to make and design any bag you see or can design yourself. The Beginning Course consists of 10 lessons and 9 are graded towards completion of the course. Each course builds on the next course, so it’s important to complete the lessons in order. The Advanced Course consists of 10 lessons graded towards completion of the course. Each course builds on the next course, again it’s important to complete the lessons in order. Why Learn With Us? Take A Tour, Learn More! So I’m so appreciative of this school and I have learned tons just from the first assignment! I look forward to learning everything my brain can contain and I hope everyone here achieves whatever goal they have set in their minds! By being able to design from the gusset and draw it the size and shape I wanted is very powerful! I love the fact that I am becoming more in command of making the bag I want! How awesome is that??? Do you really want to learn how to make quality handbags in your home? Do you want to make and sell your handbags and small accessories? Do you want to make gifts for family and friends or do a swap meet for some extra cash? We teach you how to make all of those things possible! Signup for our newsletter today, be the first to find out about new classes and offers.